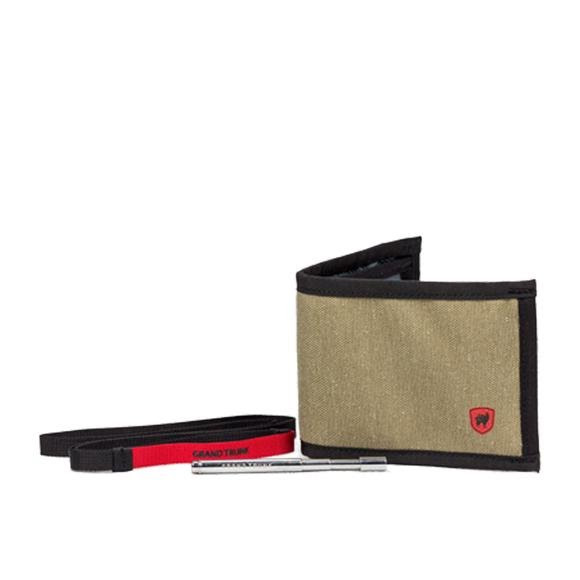 Everyday go-to wallet is durable, stylish and practical for any adventure. Keep your cash and cards organized and secure in durable nylon compartments, while the waterproof YKK zipper pocket on the front keeps loose change from rattling all over the place. RFID Security Strip keeps your personal information safe. Measurements 4.6" x 3.3"; Open: 7.6" x 3.3"